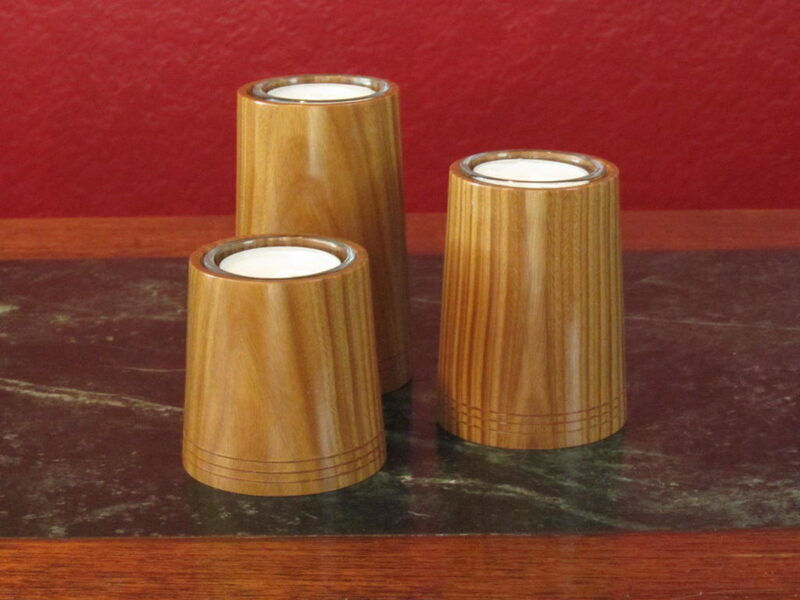 This trio of staggered tea lights was turned from blocks of lignum vitae, which features a wonderful straight grain pattern. 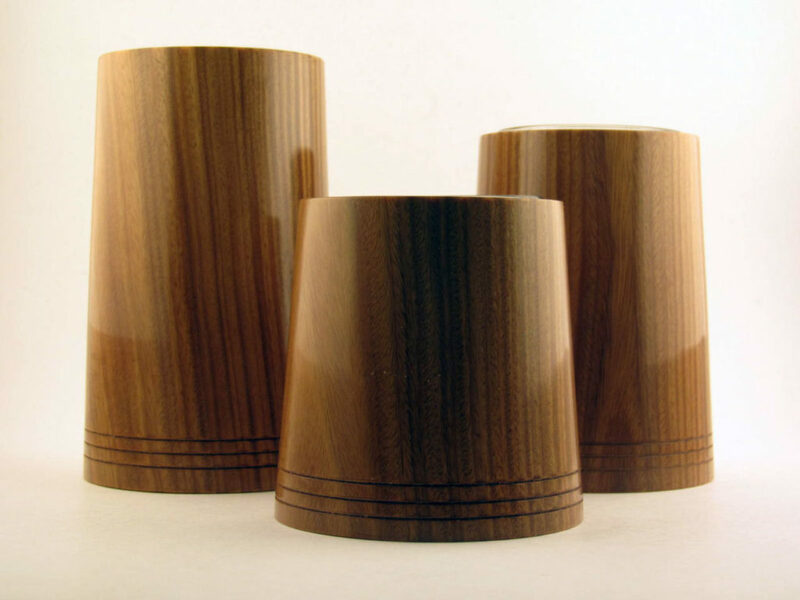 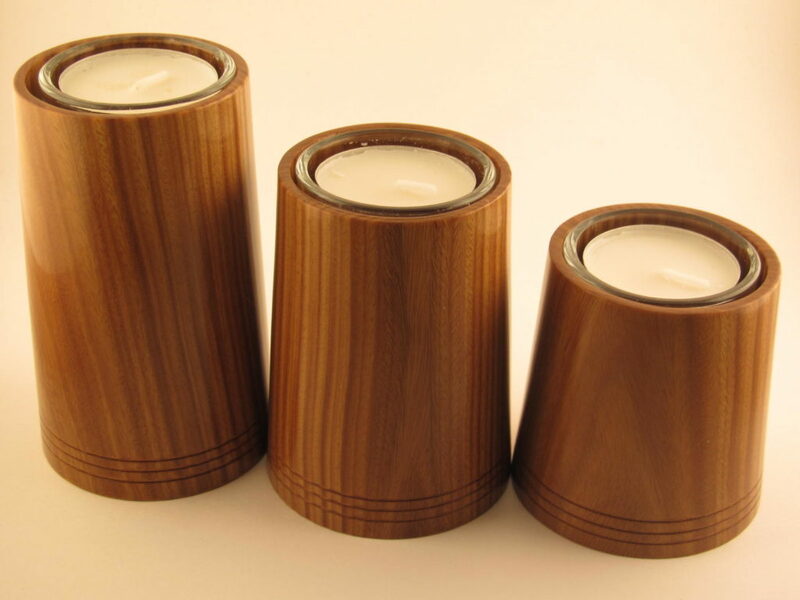 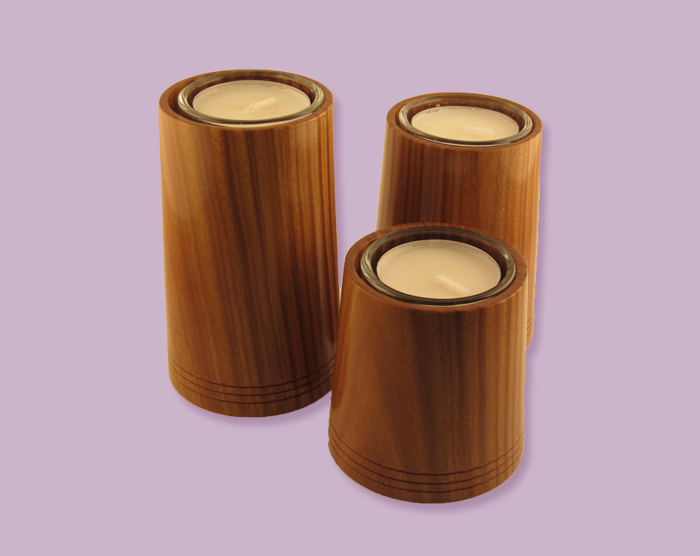 These tea light holders feature “stepped” sizing and slightly flared bases. 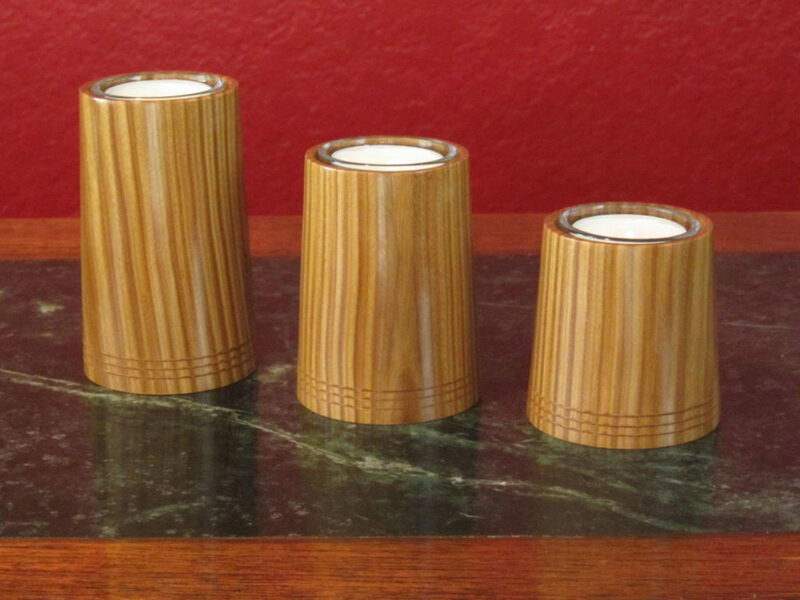 Three accent rings line the bottom of each light to provide a subtle accent.